The Air Raid Podcast #141: Does anyone know who the quarterbacks will be? It’s Texas Tech vs. TCU, it’s Lubbock vs. Fort Worth, it’s Kliff Kngsbury, it’s......Jett Duffey vs. Michael Collins? Those are the possible starters for Thursday night’s nationally televised game, but it’s still a mystery who will actually start after McLane Carter, Alan Bowman and Shawn Robinson have all suffered injuries this season. It is possible that every QB could be healthy for this game but both Kingsbury and Patterson are keeping their mouths shut. 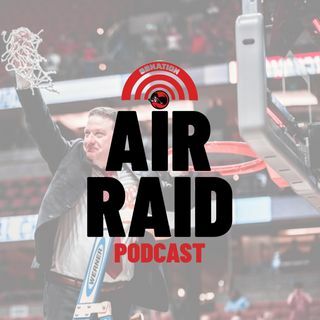 The ARP guys show their frustration ... See More on both coaches silence in this episode as well as previewing the matchup. Just how big of a game is this for the Red Raiders and can they pull off another upset?